For the 17th year in a row, Cory Band will be representing Wales at the European Brass Band Championships, which this year are to be held in Montreux, Switzerland on 26-27 April. Commenting on the venture a spokesperson from Cory stated, “We are hugely looking forward to competing once again, but taking part at this annual contest costs us in excess of £20,000, a huge amount for any organisation to find. So, we are aiming to raise £5000 to help us get to the starting line! 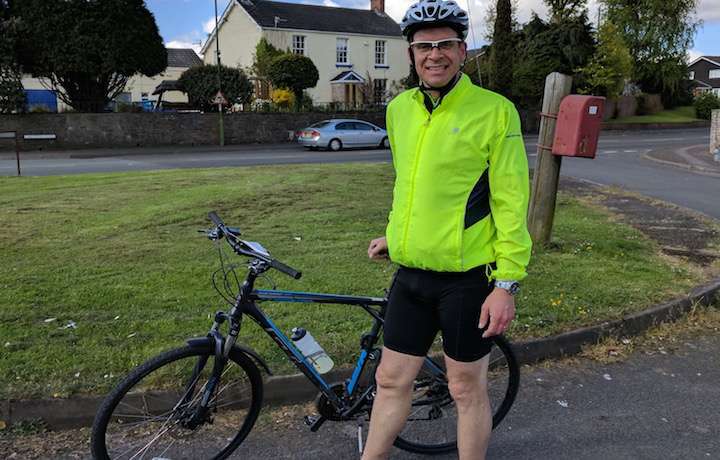 “Our Musical Director, Philip Harper, will cycle 86 miles from his home in Gloucester to the bandroom in Treorchy on 23 April, after which our President Morgan Jones and three supporters, David Webster, Dylan Williams, Arwel Griffiths will pick up the route in Switzerland by cycling up the Rhone valley and up the iconic Sonchaux pass with its 21 switchbacks up to 5000ft before circumnavigating Lake Geneva and arriving, 200 miles later, in Montreux in time for the contest to begin.